Assessment centres - What you need to know and how to pass. At some point in the recruitment process you may be asked to attend an assessment centre. The assessment centres are used to test candidates against various psychometric skills (or to verify that the results from online tests are accurate). The assessment centre activities can run anywhere from a couple of hours to an entire day and usually consist of a range of tests, assessments and interviews. How will I be tested in these centres? 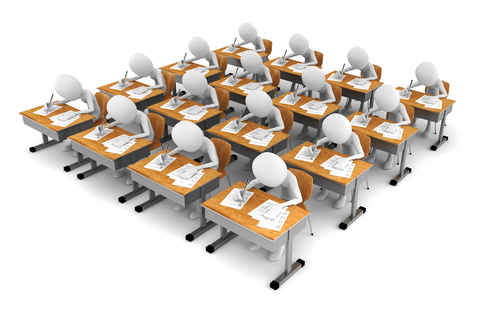 Most assessment centres consist of a mixture of different types of tests, group activities and interviews. There are many different types of tests that you could be given so try to do some research before-hand to find out what they might be. Generally, you will be tested on some or all of the following areas: Spatial Awareness, Data Checking, Numerical Reasoning, Inductive Reasoning. These tests may seem simple at first but remember, most of these will be timed and will get progressively harder with less time to answer each question! Group work can be conducted in various ways but generally tests your ability to work in a team. There are many ways this could be organised and you should try to get as much information you can about how the group exercises are usually organised by the employers you are applying for. A few examples of typical group work have been listed below. A favourite of finance companies; members of the group are each given a brief, each containing an extra piece of information hidden within it. The group must discuss the plans for expansion (or similar scenario) and ensure the correct scheme is chosen based on the variables given in the briefs. This is a good test of getting your own point across while listening to others. Candidates are split into teams (generally with different backgrounds but not essential) each team is given a list of clues which they must follow. This is a good test of listening to others as all members of the group must generate ideas together in order to progress through the trail. This event is normally timed. Groups are given a brief for a new project; a company requires a new product to sell to its customers (or similar scenario). The group must work together to think of a useful product based on factors such as feasibility, cost, value etc... This tests the group's ability to work together and also allows the employer to test the presentation skills of each individual. Make sure that you present as well as research, if you don't present; the employer won't have anything to judge you by. Some companies will conclude the day with an interview at the end of testing (should you pass it all! ), however, this can sometimes be split into two days depending on the number of tests and activities you have had to complete in the day. It might be that the employer will contact you after the day to let you know the result and whether or not you will be continuing in the process. As with all interviews, make sure you know your stuff! Research the role and the company well and don't leave it all to the last minute. Preparation for group work exercises is not really needed; just ensure you go in with a clear mind, you allow others to speak, listen to others and put your points across when you can. Of course if you can find out what you are required to do in the group exercise it will at least let you know what to expect. Good interview techniques are an obvious must have skill. Find out as much as you can about the role you are applying for and the company it is within. Also look out for any recent news stories involving the company as the interviewer may ask for your opinion on the situation (which you can't give if you don't know the situation!). Be courteous, polite and do not talk over your interviewer. Finish the interview by asking some questions as this will show you are interested and then thank the interview for their time. Good Luck!